An annual exhibition of antique 'hina' dolls started at the Hyakudan Kaidan exhibition hall in Tokyo, bringing together some 500 dolls and 170 doll ornaments from Iwate, Miyagi and Fukushima, the three Tohoku prefectures hit hardest by the mammoth earthquake and tsunami on March 11, 2011, including some dolls recovered after being washed away by the tsunami.The seventh 'Hyakudan Hinamatsuri' exhibition runs through March 6 at the tangible cultural property designated by the Tokyo metropolitan government in wedding complex Meguro Gajoen. 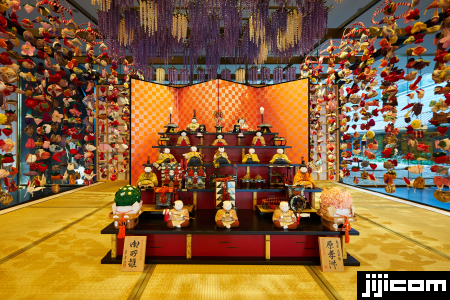 Hina dolls are traditionally displayed for the 'Hinamatsuri' festival on March 3 to wish for the well-being of girls. 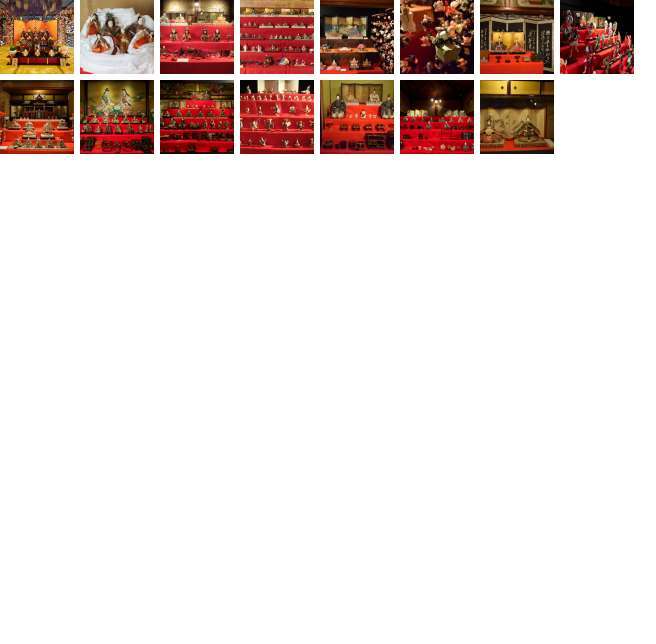 Most dolls represent the Emperor and the Empress, as well as palace attendants and musicians in the Heian period.